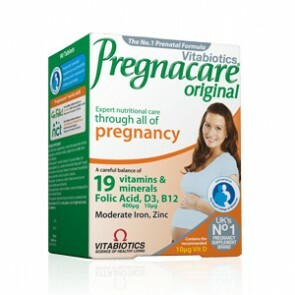 Pregnancy Vitamins and supplements to help you look after yourself and baby! 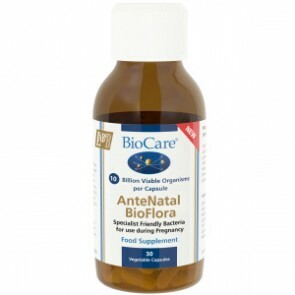 BioCare® AnteNatal BioFlora is a new specialised probiotic for use by women during pregnancy especially during the last trimester. 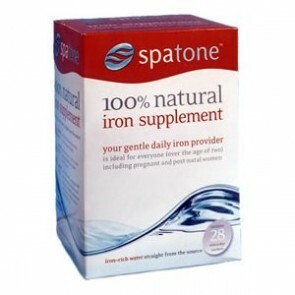 Spatone is simply iron-rich 100% natural water taken straight from the source in beautiful Snowdonia. Research has shown that iron requirement can double during the second half of pregnancy. You will have probably heard of Pregnacare®. It is the most popular and trusted prenatal supplement for mum-to-be. Zita West Vital Essence 1 is a vitamin and mineral supplement for the first 12 weeks of pregnancy. The formulation of Zita West Vital Essence 2 provides everything you need including increased calcium, phosphorus and magnesium, Vitamin K and Co-enzyme Q10, as well as the recommended amount of folic acid for weeks 13- 28. In the third trimester (weeks 28-40) your blood volume increases by 40 percent, your pelvic joints expand and your breast tissue develops. Your baby is growing faster than at any other time in your pregnancy, doubling in size, increasing nerve cells, strengthening bones, maturing lungs, immune system and digestive tract, and laying down stores of fat, iron, and calcium. Newly formulated one-a-day multi-stage multivitamin, for women who would prefer a high quality, but lower priced alternative to our stage specific, range of products (listed above). Vital DHA is an essential fatty acid containing DHA and GLA. Essential fatty acids are important for female fertility, as they help hormone balance and egg production, and for male fertility too, as they are believed to help with the creation of healthy sperm.